MAJOR ROBERT WILLIAM DUNDAS, M.C., 16 St Andrew Square, Edinburgh. Received Commission as 2nd Lieutenant in 8th Royal Scots (T.F.) in July 1915. Was attached to Headquarters Lines of Communication, France, in November 1916. Appointed Staff Captain Headquarters Machine - Gun Corps (Heavy Branch), France, from January 1917. In June 1917 was appointed D.A.Q.M.G. Headquarters, Tank Corps, France. Promoted Temporary Major 1917. Awarded Military Cross 1918. Mentioned in Dispatches 1919. CAPTAIN WILLIAM HUGH ROBERTSON DURHAM, 13 Glencairn Crescent, Edinburgh. Received Commission as Lieutenant in l0th Battalion Scottish Rifles in August 1914. Thereafter promoted Captain. Proceeded to France and was killed in action at Loos in September 1915. Received Commission as 2nd Lieutenant Northumbrian Brigade Royal Field Artillery. Served in France from 1st July till 16th July 1916, June and July 1917, and from April 1918 onwards. Promoted Lieutenant 1st June 1916. Wounded in July 1917 at Heninel near Arras. Received Commission as Lieutenant in 9th Royal Scots on 1st October 1914. Promoted Captain and Adjutant 4th March 1915 ; Major 5th July 1916. Served in England and Ireland 1914-18, and in France 1918-19. CAPTAIN FRANCIS HAMILTON FASSON, 10 Murrayfield Drive, Edinburgh. 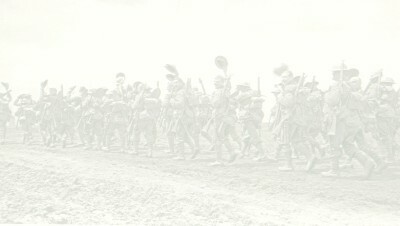 Received Commission in Scottish Horse in August 1914. Served in Gallipoli, Egypt, and Salonica. Captain and Adjutant 2nd Scottish Horse. Seconded to Remount Services Salonica 1918. Twice mentioned in Dispatches.